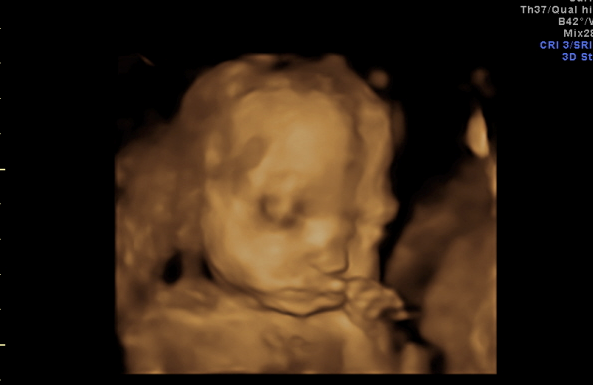 Below is the third in a series of stories showing the faces of the pain-capable unborn child. There are times when pain-capable unborn babies are diagnosed in the womb with a disability, and parents are pressured to abort. Whether or not an unborn child is diagnosed with a disability, he or she can feel pain, and deserves our protection. When I found out that I was pregnant with our 4th child, I was very surprised! It was unexpected, but welcome. The pregnancy progressed nicely with normal morning sickness, but nothing was alarming or unusual. We went to a private 3D/4D ultrasound place to find out my child’s gender at 16 weeks because we wanted to get the baby’s room done before my husband and I went back to school as teachers. We had a little girl! But later on September 21, 2011, we went in for our “big” 20 week ultrasound, which would help us find out the health of our unborn baby girl. 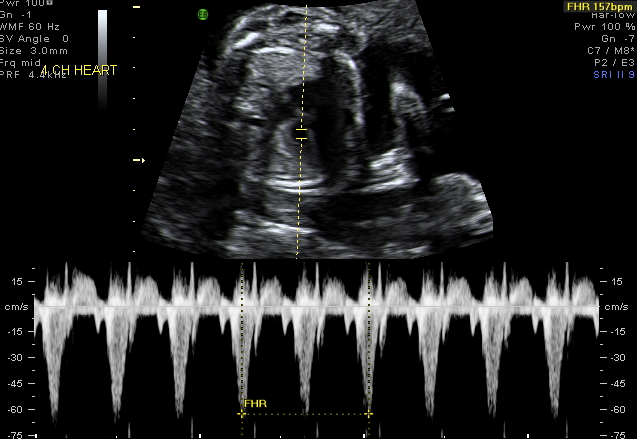 We knew by what the technician wasn’t saying during the ultrasound that something was wrong. We found out that our little girl had bilateral club feet, clenched hands, a single umbilical artery, choroid plexus cysts, a heart defect and a small jaw. We had no idea what this exactly meant, but we knew they were “markers.” The next morning my husband received a call from my doctor that he wanted us in immediately for an amnio, and he notified us that my life could be at risk. We had always refused all genetic testing up until this point and it made me very uncomfortable to do it. After a lot of persuasion, we cautiously went ahead with the amnio. The FISH test came back the following Monday…our daughter had Trisomy 18. We were then given the option to terminate, or carry as long as we were able, but our daughter would most likely not make it to birth. Our daughter deserved to be loved as long as her life would be – so abortion was not an option for us. Especially since it would cause pain for all of us. We decided to seek out a second opinion and went to a larger hospital for a more detailed scan. They told me that they had never sent a child home with Trisomy 18 that had lived for more than a day. We called 2 other hospitals and we were told that I should be happy that my doctor was even “allowing us” to continue the pregnancy since I had gestational diabetes. I continued to see my OB, but he treated me, not my baby. I asked about having a c-section to reduce the stress on my baby, and was told that it was too risky for me. We met with perinatal hospice, which was incredibly helpful as we created our birth plan. We met with our pastor to plan our daughter’s funeral, and I contacted the funeral home about our plans. But when we made it to 34 weeks, we decided that we wanted to change from comfort care to full intervention for our daughter. If she had made it this far, we had the chance of spending some, any time with her after birth. Little did we know the challenges we would face by choosing to do so. We were again told that she was “not compatible with life” and no lifesaving acts would be done. We were then told that our insurance wouldn’t even cover the NICU. I knew time was running out. We had heard of a Trisomy 18 child who was born at a different hospital and lived for a month. For us, a month was at least time. Precious time. I called the NICU there and spoke directly with one of the neonatologists. She was willing to do whatever we wished, including intubation if needed. We then tried one of the OB’s that was recommended. She had a cancellation for the following Tuesday (4 days away). Our daughter had a chance! We celebrated Christmas and prepared as much as we could to meet our new OB. We were amazed with how supportive she was of our decisions. She asked us if we had a fetal echocardiogram and non-stress tests done yet. No. Had we met with a perinatologists? No. Since I was now 34-½ weeks, time could be running out. She asked us to come back the next day when the cardiologist was there to do an echo and a non-stress test. The next day during the tests, Leila was starting to fail and we were told that if we wanted any chance of seeing her alive that I had to go immediately to Labor & Delivery. Leila Hope was born at 34 weeks, 6 days weighing 4 lbs 12 oz, which is very large for a Trisomy 18 baby. She was intubated and taken to the NICU. 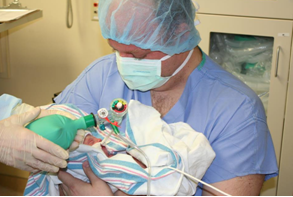 At 4 weeks of age, we requested a transfer to the Children’s Hospital for an ENT consult and G-tube. When we got there, we were met by a very unsupportive neonatologist who could not understand why we would even consider doing surgery on a child like ours. He told us to take her home and let her die. When we refused and I forbid him from turning down her high flow support that was keeping her airway open, we found ourselves having to defend our decisions to the ethics board of the hospital. Fortunately, our case for our daughter’s life won out. While there will still doubters after our daughter was born, I am very proud to say that Leila Hope will be turning 4 years old on the 28th of December. 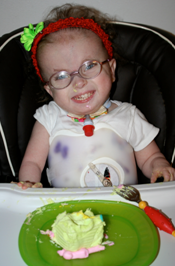 She is proving the medical community wrong by living and thriving with full Trisomy 18. And she’s not the only Trisomy child to do so! Sometimes, a prenatal diagnosis is incorrect. And sometimes, it is correct. 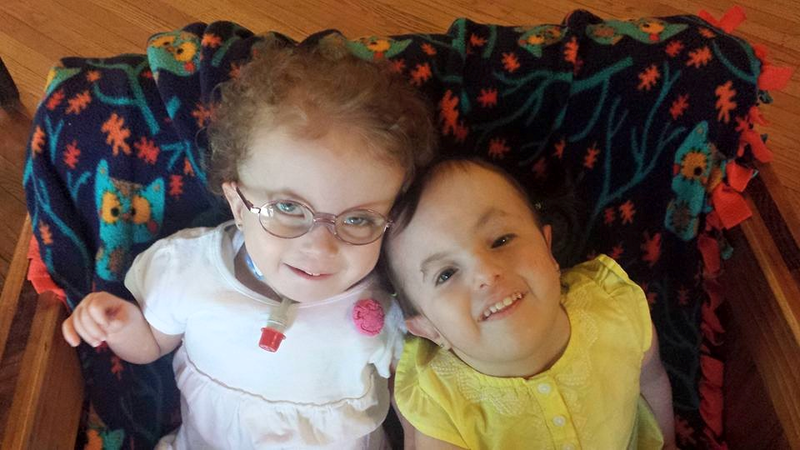 In Leila’s case, her diagnosis was correct, but far from a death sentence. It would have broken my heart if I had lost my daughter to a painful abortion. I would never have had a chance to treasure the time I have with her, and she would never have had a chance at life. There are so many unborn babies, capable of feeling pain from abortion, who deserve a chance at life. I am so glad the Wisconsin Legislature is considering the Pain-Capable Unborn Child Protection Act that would protect unborn babies just like Leila, and support parents like me who may need help from perinatal hospice. I sincerely hope that the pain bill is passed quickly, so that no family or child has to experience the pain of abortion.